Theresa will give you tips and tricks to keep you on track with this cute Elizabeth Hartman pattern. These blocks are made using conventional piecing techniques. Pineapples have long been a symbol of welcome. 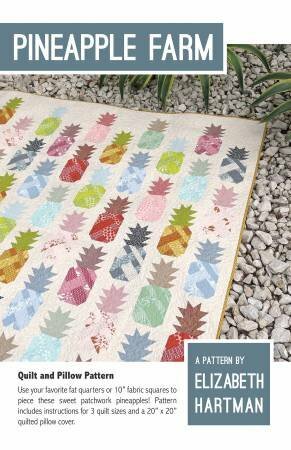 You can make these cute pineapples into a pillow, table runner or a nice comfy throw to welcome family and friends.